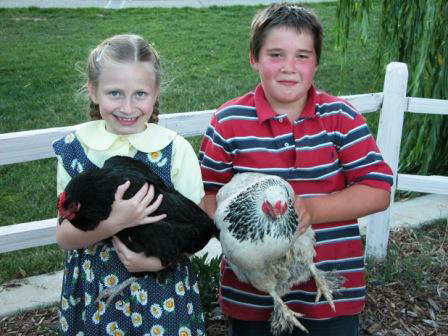 If you’re raising chickens, it’s inevitable that you’ll need to pick them up at some point or another. Perhaps you need to move them out of the hen house so you can clean, or you’re putting them into transport crates since you’re moving or something. Whatever the case, knowing the proper way to pick them up and handle them is integral to not just their safety but also yours, or at least your comfort in that a stressed chicken can flailed and definitely hurt the untrained handler. Those who have an interest in doing it the right way, let’s take a look at the proper way to handle a chicken. The basic thing to understand is that the majority of chickens are docile and simple to pick up as they’ll understand pretty clearly that you’re the one in charge but not a threat, rather a caregiver. If your chickens are generally shy or freaked out at that exact moment, it may be in your best interest to leave them by or perhaps to try and coax them into submission by a small bit of feed. Food usually resets any panicked feelings within a chicken, so use it wisely. Assuming they’re in a mood that will allow you to pick them up, go ahead and put your hand on their back, coming from above. Most chickens will take this a a sign of what’s about to happen and stop moving. From there, apply some pressure with your hand onto their back, causing them to sit down or lie down. The goal here isn’t to smash the chicken, but to put them in a submissive position that’ll make it easier to grab from. After your hand is on their back and they’re seated, slide your free hand underneath them, being sure to keep your fingers on either side of the legs in an almost pinching grip. This will let your index finger and pinky finger hold onto the legs with your middle and ring fingers between. If you’re able to, it’s possible to use your thumb and pinky fingers to pin down the tips of their wings, making it so they can’t really wiggle out and flap away and keeping things stable. This simple technique is the most effective way to manage your hen or rooster’s level of calmness and keep them relaxed for walking about. Just the method of one hand on back and one hand underneath will help you get around just fine, though it is entirely possible to hold a chicken under your arm by keeping a firm grip underneath again trying to hold the feet while having them tucked into the crook of your arm and the side of your body. Don’t, however, grab a chicken by their sides and walk them around that way. You’ll see it a lot and assume it must be great but it’s actually putting a ton of strain on the joints that connect the wings to the body, and don’t forget that chickens, like all birds, have light hollow bones that are more prone to injury. Oh, and while it should be obvious, don’t pick them up and carry them by their legs. Chickens are very simple to handle if you know the proper way to do it. Most of the time they don’t want any trouble and won’t provide any in your direction as long as you’re not giving them cause to freak out and panic. Be smart and calm and your birds will return the favor.